Home / Articles / Baseball season is around the corner! I just signed my daughter up for T-ball and the Blue Jays have started playing down south. That must mean spring is on its way! 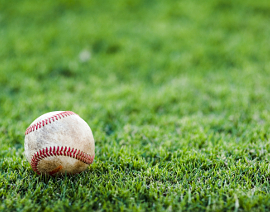 Youth participation in baseball is on the rise across Canada. It demands a lot of physical skill to play and can therefore result in injury. New players are also using muscles they haven’t used before and learning new movements. Along with sore muscles, some of the most common injuries are to the elbows and shoulders. Properly warming up before practices and games can help prevent some injuries, but inevitably they will occur. Our chiropractors take a full medical history including details of the injury and do a thorough physical examination in order to assess the biomechanical demands of the injured area. This helps us to best identify the underlying cause of the injury. The goal of treatment is to reduce the acute symptoms (e.g. decrease pain and increase range of motion), minimize residual effects, and prevent re-injury. Treatment can include soft tissue techniques to help decrease muscular symptoms, joint mobilizations or manipulations to help increase range of motion, modalities such as acupuncture and therapeutic laser, and rehabilitative exercises to help strengthen and stretch the involved tissues and prevent recurrence. We also have other treatment options available at YOUR HEALTH to compliment chiropractic care, such as osteopathy and massage therapy. Don’t let injuries slow down your game! Ensure your body is working at its best to prevent further damage down the road.